Like watches, bracelets can be worn every day. Bracelets are made of different materials but one of the most popular jewelry with men these days are beaded bracelets. If you are planning to purchase one in the future and add it to your wardrobe, Royal Men is a very well known brand for luxury pieces of jewelry. Possible Conversation Starter. When you are wearing a bracelet for the first time, especially when it is a beaded bracelet, it is usually a visual cue of your personality. These interesting accessories can easily draw attention. You would soon realize that people you know would start approaching you more often and might get curious why you start wearing bracelets, or where you got your jewelry. Wearing something that can catch their eyes will set you apart from others. Beaded bracelets will surely attract attention in a good way. Association With Something Important In Your Life. Most men wear bracelets as a reminder or an association to an experience that is important in their lives. It can also have a special meaning based on cultural traditions or faith. It can also be a gift from a loved one or a friend. This is why if you are buying a beaded bracelet for a present, it is your best choice if you want the person to always remember you. A Change In Your ‘Usual’. If you are used to wearing metal or woven bracelets and you want to try something else, a beaded bracelet is the best choice for you. They are not only good as accessories, but they also have healing benefits. 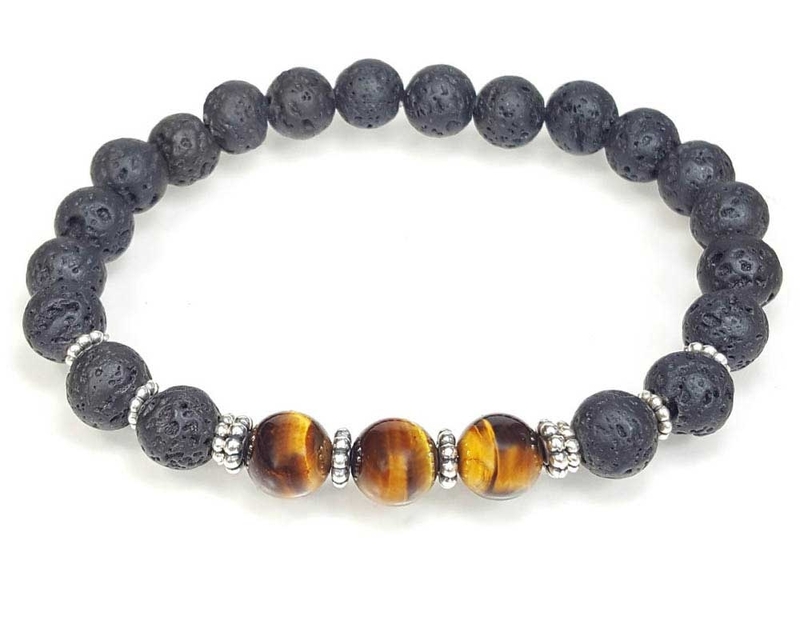 Royal Men beaded bracelets are made of real gems and crystals that have healing powers. You can choose from agate, bloodstone, dalmatian jasper, labradorite, lapis lazuli, obsidian, and hematite. A Great Accessory. If you want to look cool and edgy, a beaded bracelet is a good accessory to add to your wardrobe. They may not be the first accessory of choice to go with work clothes, but they are definitely the coolest choice for a more casual look. So if you are going on holiday, or spending a weekend on the beach, grab your Royal Men beaded bracelet and make a statement that other people will never forget. If you are choosing a bracelet for the first time, make sure that you take ‘balance’ into consideration. You can counterbalance your dark outfits with lighter-colored beads. If you think of wearing multiple bracelets, mix a lighter bracelet with brighter ones. You can even mix it up with other types of bracelets like a leather or metal cuff. When choosing a bracelet, make sure that it fits the occasion. You don’t want to go to an event looking awkward. Remember that bracelets are great accessories, but if you mismatch them it can end up being an eyesore. Remember, the more you go for a simpler design, the better.